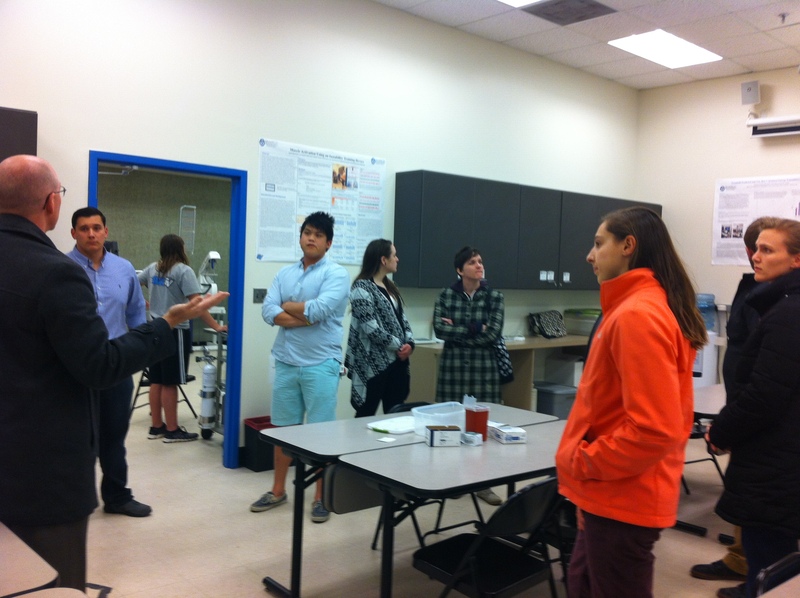 Students from the Exercise Science Club visited Grand Valley State University on Friday, March 20. 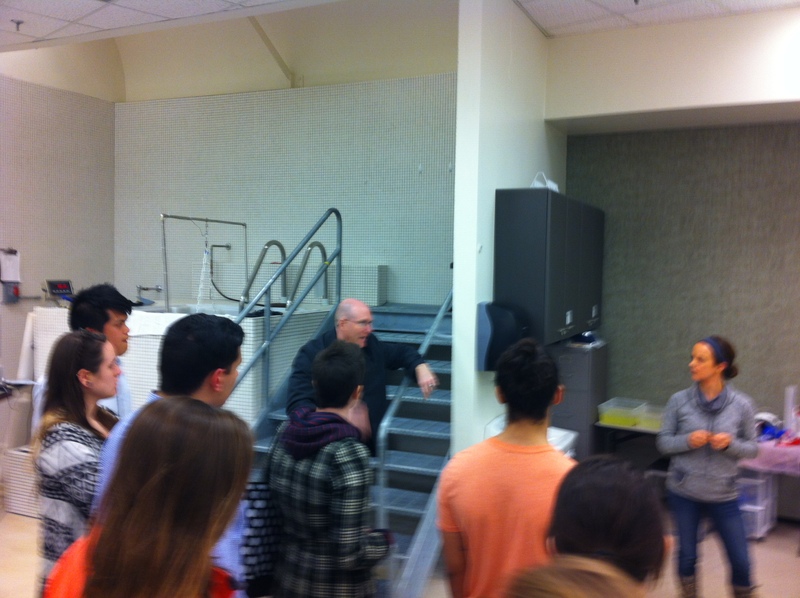 Dr. Steve Glass met with the students and provided a tour. 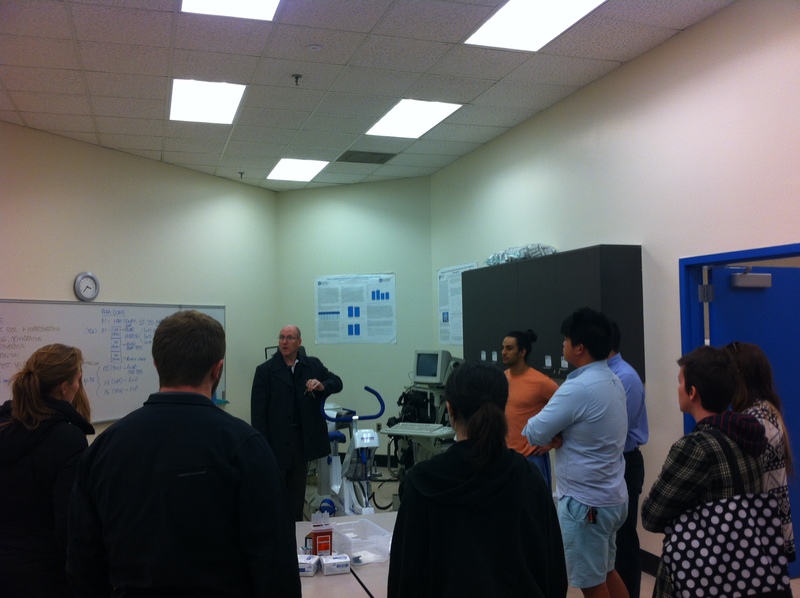 Students were able to see two exercise testing and research labs as well as see some of the research modalities and tools. Some of them included cardiac stress testing equipment, a hydrostatic weighing tank, a blood analyzer, force plates, and muscle electromyography. The tour also included a brief visit to the Recreation Center.